Redefining Normal: A Story of Getting a Library Card in Chicago – MIXTAPE – A compilation of personal opinions on writing, art, creative inspiration and politics from a curious old soul who lives a few decades behind. I moved to Chicago from Champaign, Illinois (and small-town Ohio before that) in April. After a few months of settling in and reading through the shelf of books in my apartment, I decided it was time to put down a root in the city and get a library card from the Chicago Public Library. On Saturday morning after I had finished the usual six or seven cups of coffee, I grabbed my backpack and bobbed onto the EL red line heading towards the Harold Washington Library Center in the south Loop. 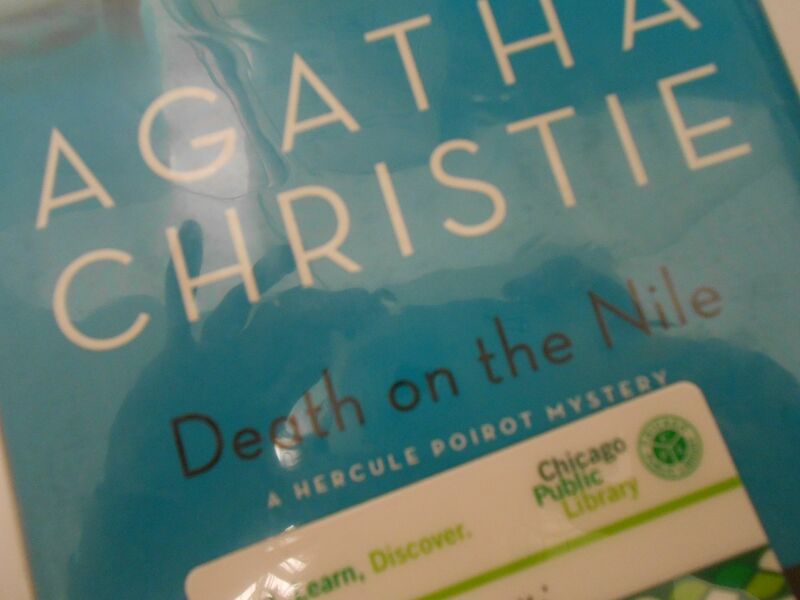 How will I find Agatha Christie? I grew up going to the Ida Rupp Public Library in Port Clinton, Ohio – A one-floor wonder with just the right amount of books to keep you satiated, and all separated by genre. I remember being impressed during my years in Champaign at how much larger (two floors) the public library was there. These were the experiences I was pulling from as I made my way into the largest CPL branch in the city. A woman inside informed me that the main circulation desk was located on the third floor. The number of floors was less of a concern than the number of security personnel I passed on my way up. The first test to my definition of normal: the library is no longer a haven – it’s another place in the city vulnerable to attack that needs safeguarding. Getting a new library card was easy, although this one expires in two years. My still-functional Ida Rupp Public Library card is older than my dog who just turned 12. After becoming an official CPL card-holding citizen, I asked the very sweet and friendly circulation desk man where I could find the “normal” fiction section, because their directories didn’t clearly specify this. He told me all fiction could be found on the seventh floor. I headed up. Second test to my existing definition of normal: the fiction at this Chicago Public Library isn’t separated by genre, but author name. So many books – and I would have to parcel out the mysteries myself. I was fortunate to have a mystery author already in mind – Agatha Christie. An embarrassing omission – in my flustered state of mind I stupidly asked a security guard where the mysteries were located. She pointed to the circulation desk behind me where I could already see the amused look on the librarian’s face for having asked the security guard where to find a book. Something amusing about big city life: despite Chicago’s size, there is almost always someone in ”your spot.” I passed row after row of books with no one to be seen for miles, and as I navigated to the “C” for “Christie” shelf, I found a girl standing. There we were. Shoulder to shoulder – hip to hip. I had to laugh. After I checked out my books, I walked through the security scanner and unzipped my backpack for the security guard before I headed out onto the street. Those last few minutes in the library with the homeless woman and the mandatory security check left me heavy-hearted. These experiences are part of a “new normal” – one where I’m hit with images of extreme human suffering and danger on a daily basis. In his book “On Heaven and Earth,” Pope Francis uses the analogy of light and shadow to describe goodness and sin. In the city, I see darkness more than ever before. However, the darker the shadow, the brighter the light had to be that cast it. As I walked down the street to take the train home, I saw a homeless man sleeping on a bench. Next to his head someone had placed a stack of Keebler cheese crackers. This is the second time I came across Agatha Christie’s name — for being famous mystery book writer — once, in a movie to inspire a little kid with dyslexia that you are still special and can do wonderful things in this world, and the second time here at mix tape. I get to read her one day. I’ve read that her plots are better than her writing skills. I’m about 100 pages into the book and so far I agree with that statement. I’ve only glanced a bit so far, but I believe in your writing skills, Annie.